The tropics are calling and you need a tranquil island retreat now! 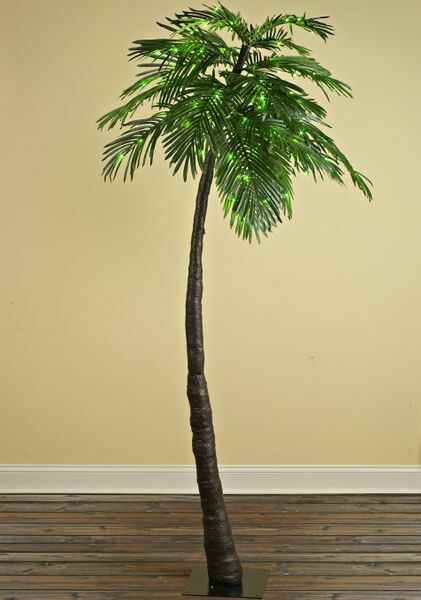 Inside or out, let our wind-swept LED lighted palm tree blow away your cares and concerns, creating your own private tropical haven! 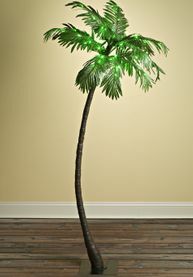 This 7' tall palm tree is magnificent on its own but plug it in and the 96 green LED lights will transform any area into your own dreamy island getaway. 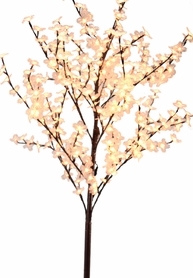 The branches are easily bent into the shape you desire and the approximate width is 3'. 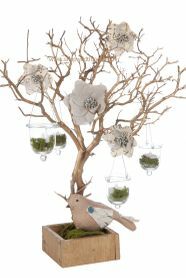 The tree comes in 3 pieces and is easy to assemble. Place the trunk on the 14", sturdy metal base plate and secure it, attach and secure the trunks mid-section, then attach the top portion. If using the tree outdoors, place on level ground and secure the plate with the 4 stakes provided. The cord is 18' long and has a 120V UL adapter which can be used outdoors with a covered, weather proof outlet. 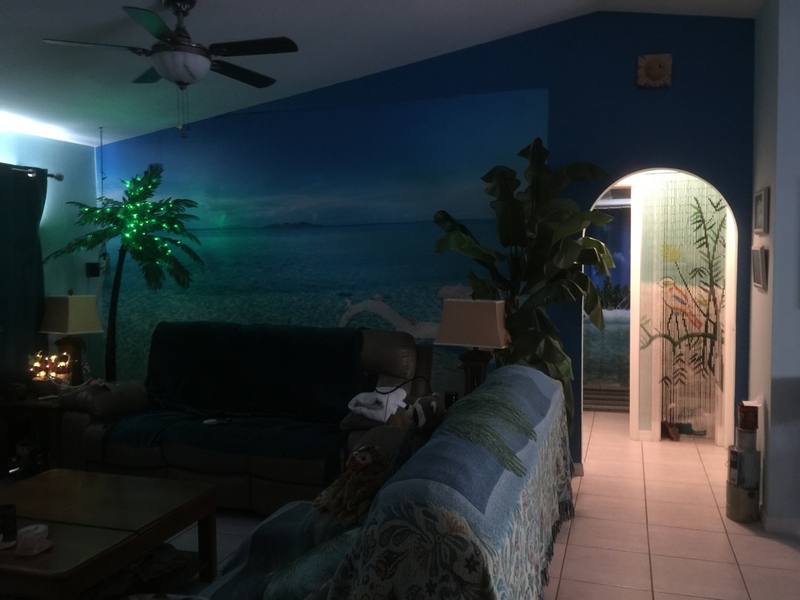 Spectacular for island-themed events as well as patios, entryways, foyers or anywhere that needs the soothing touch of a magnificent swaying palm tree. Add a 5' palm tree, cover the base plates with sand and indulge yourself in your own private refuge! We love our Palm/Christmas tree !